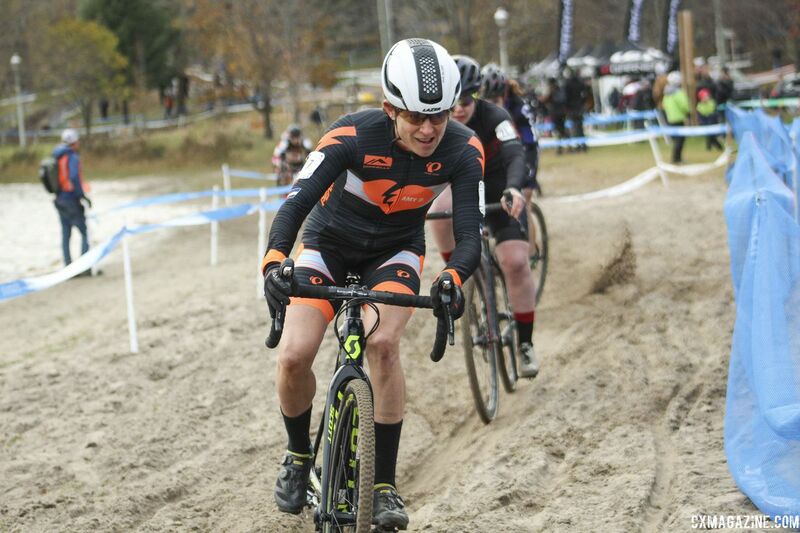 Last year, Corey Coogan Cisek spent three months living and racing Elite cyclocross in Europe. This year she is making a return trip. In the first of her bi-weekly diaries, Coogan Cisek talks about why she is doing Year 2 and what she learned from last year’s adventure. I am excited to be returning to Belgium for another three-month stint this year. Last year’s 87-day trip to Belgium was supposed to be a one-time thing. That’s what I told myself, my family and my boss. 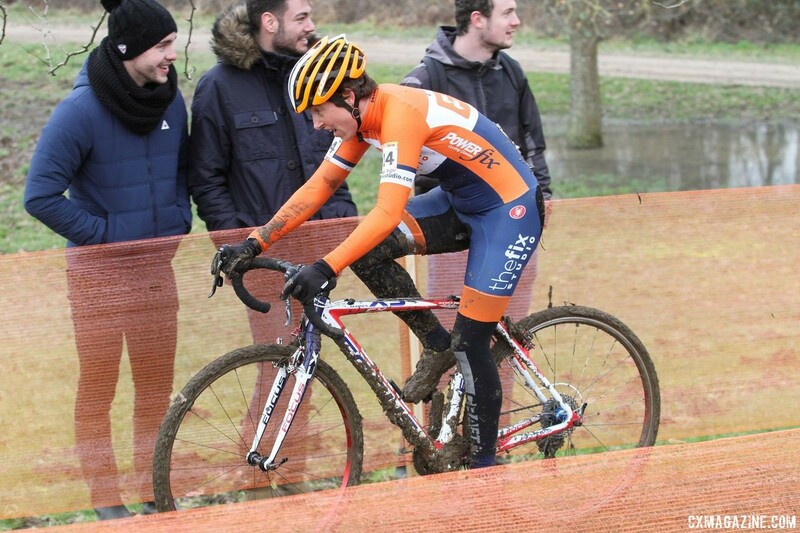 My stated goal was to learn Belgian cyclocross in three months. I laugh about this now. I should have learned from those who went before me. 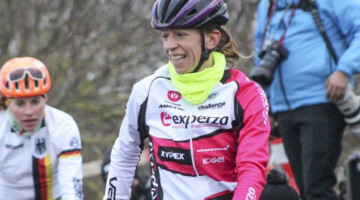 Amy Dombroski became sick and underperformed most of her first year in Belgium. Elle Anderson’s best races of her first year occurred during her first months abroad. Only last year, three years in, did Elle really find her groove. Like the others, my best races were actually shortly after I landed. 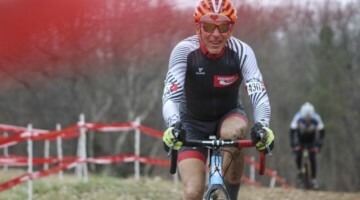 By February, my skills and comfort in the racing environment were much improved, but I was so tired and burned out that I could no longer perform. No doubt, there is some desire to accomplish what I didn’t last year in terms of results. Yet my biggest regret from last year is that I was so wholly unprepared. This time I have some clue what I am getting into and am better prepared. Yet, the best explanation is that the Belgian cyclocross bug bit me and bit me hard. What I am finding is that there are two types of American racers, those who love Belgium and those who hate it. Rare is the rider who doesn’t feel strongly. I wager you can discern a rider’s preferences by her travel plans: does she go over just for World Cups and head straight home or stay for a couple of extra UCI races? I recognize that funding plays a huge role in how much time a rider spends in Europe. Yet, historically, there have been a few who have taken a financial gamble to go over; think Jonathan Page and Amy Dombroski. Jonathan, Amy, and Elle all went to Belgium with a reasonable hope of making it as a European pro. That’s not me. Yet, there are others who go over once and then return at every possible opportunity thereafter. They have not topped out in their country, and Belgium is not the next logical development step. Rather, they caught the bug. Eric Thompson is a peer in love with Belgium. We had dinner with some Flemish friends last February after the Middelkerke Superprestige. There was talk of importing a container of Belgian soil to America (joking, really …), as well as how to simulate the ditches and ruts of Flanders back home. He has the bug. Perhaps, it takes a “special” kind of person to choose to immerse herself in Belgian cyclocross. I met Australian Nat Redmond post-race at the Zolder World Cup. 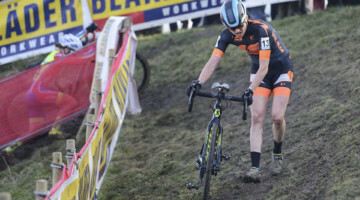 Her first trip to Belgium was just six months after she started cyclocross … and she did Zonhoven. I think that captures the personality that falls in love with Belgium. I’ve made some big changes to better prepare for this year’s trip. Helen Wyman is my coach. Helen launched her coaching program in January 2018. 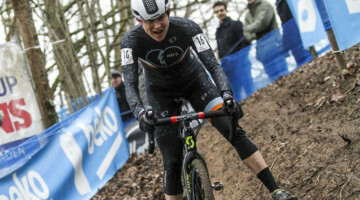 At that same time, I was being chewed up and spit out by Belgian cyclocross and coming to terms with a need to prepare differently for a second season. We met in a coffee shop in Oudenaarde to discuss coaching. Helen and husband Stef wowed me not only with their taste in cappuccino but also their cyclocross knowledge. 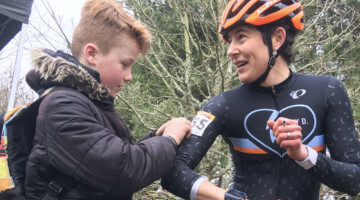 Helen’s power data has been used to study the demands of cyclocross, and her training and coaching reflect what they have learned. Eight months into working with Helen and Stef, it is everything I hoped it would be! Working with Helen and Stef is a great opportunity, not only as a rider but as someone who hopes to coach or direct in the near future. I did not know Amy personally, but I was strongly impacted by watching her win U23 Nationals in Kansas City. It was an icy, muddy day, and she handled the conditions with grace. Although younger than me, she too had grown up ski racing in New England and attended a “ski academy.” Her ride that day inspired me. Amy, who was an amazing talent, took the hard road by moving to Belgium. 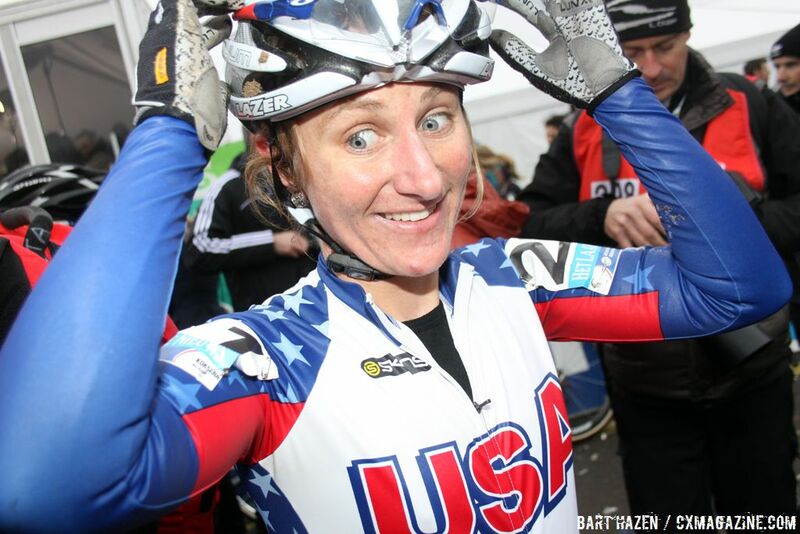 She made this choice at a time that the U.S. was particularly rife with cyclocross opportunities. 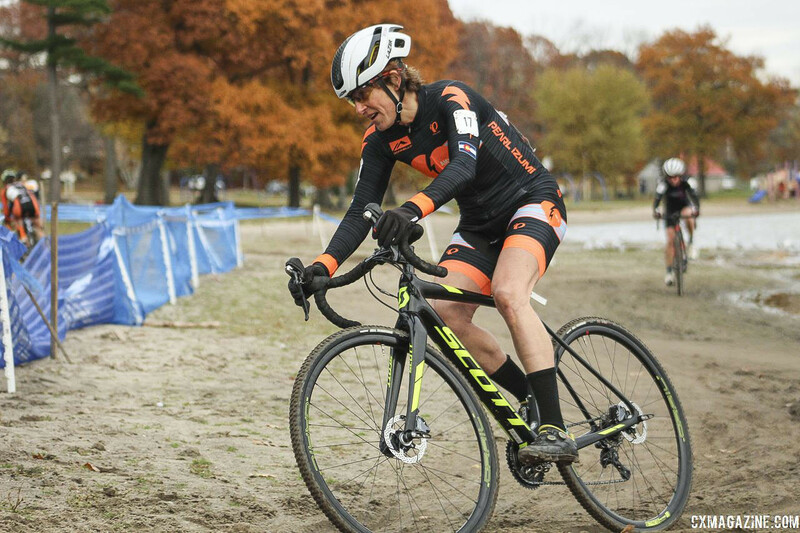 We had a national series in the USGP, and the Louisville World Championships occurred during Amy’s second season in Belgium. She left a healthy American scene to go race the fields of Flanders at a time when women riders were “second-class” in Belgium. Her time in Belgium was when women often raced in the morning, before the U23 men and without television coverage. She moved to Belgium out of a desire to be in the thick of things and climb the international ladder by racing among the best. There was no financial opportunity for Amy in Belgium. Upon return from Belgium, I reached out to Dan Dombroski, who generously agreed to offer me a place with Amy D. Foundation. Though from Minnesota and spending much of my season in Belgium, I am part of the new Colorado-based development program launched this fall. I am proud to represent Amy’s spirit in Belgium. My North American season is wrapping up, as I fly to Brussels on Thanksgiving Day. I will be living in the cyclocross mecca of Oudenaarde and be racing a full-UCI schedule. Look for bi-weekly updates here. You can also catch up on Coogan Cisek’s 2017/18 in Europe in her Cyclocross Apprenticeship archive.